To edit the match settings go to Club Manager > Settings and click on the Matches tab. 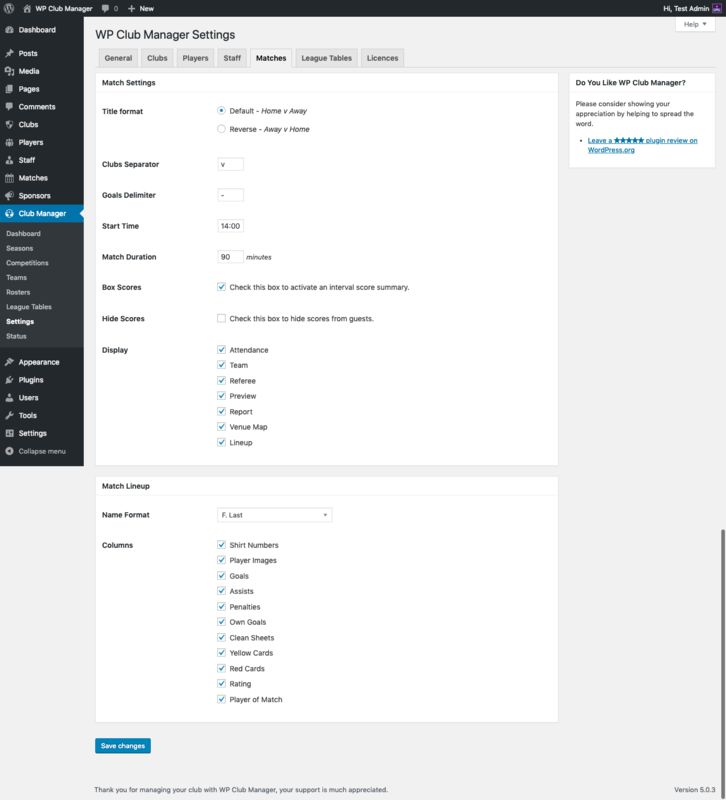 Choose the format to display match titles throughout the front-end of your website. The club separator is displayed between the home and away clubs throughout the front-end of your website (eg. Harlequins v Wasps or Clippers @ Suns). Set the delimiter for the score throughout the site. The delimiter sits between the home and away score (eg. 2 - 3 or 2 v 3). Set the default start time for matches. Set the length of a match in minutes. Add half time/period/set scores. This feature replaces the Score Summary extension. Check the box to hide scores from non logged-in users. Choose which name format to display player names in match line-up.